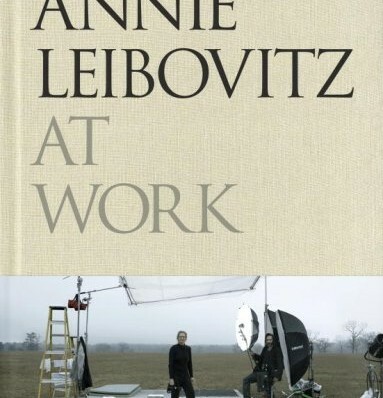 Annie Leibovitz At Work is, well, Annie Leibovitz’s new book. Leibovitz is deemed as one of the most celebrated photographer’s of the 21 century. the book was published yesterday, Nov 18th, and i’ve already finished reading it LOL. i can safely say it was one of the only books that i’ve been able to read in one sitting. helps that she is one of my favorite photographers. when i went to Chapters to buy the book yesterday i was a little surpised that the 240 page book is 90% text. the book was described as how she works. as of late, that translates in my mind as lighting diagrams, lens and camera selections, and pages of pictures with descriptions. the technical side of photography. as i started reading the book i realized that photography to Leibovitz had very little to do with camera she used or the lights she setup. photography was about people, her subjects, and the ability to capture a small facet of them. she is always more interested in knowing the person first before taking the picture. even scheduling two days for a simple portrait; day 1 to get to know them, day 2 to take the picture. the book really brings back the real purpose of photography for me, especially because i’m such a technical geek. photography is about the idea, the concept, that you envision to create. the feeling. the meaning. the moment. she talks very little about gear or lighting setups in this book. actually she barely mentions it, even in her equipment section near the back. goes to show that she really doesn’t depend on it. and for all of you who are super curious about “what she shoots”, she mentions the Mamiya RZ67 more times in the book than another camera. says that the first digital setup was a Canon, but has changed digital setups 4 times in a year. she’s simple in her lighting and works mostly with natural light supplemented with strobes. Profoto lights mostly (that one’s for you Olga). but still after all of that, she easily dismisses all it. i can definitely see myself picking up this book to read over and over again just to keep myself grounded. in some ways it’s very close to a autobiography. she documents all of the significant pictures she’s taken in her career so far, and what was happening in her life at the time. definitely a good read for me. especially at this point in my young career. if you’re looking to find out how a great photographer sets up her lights, this isn’t the book for you. if you’re looking for a bit of inspiration from a great photographer who speak of how she arrives at the idea behind the photograph, pick up this book, i think you’ll be pleasantly surprised. i did realize from reading this book why i hate doing family pictures or formal corporate shoots. it’s because i hate pictures of people fake smiling. i find it disingenuous. there are very few pictures that i have taken where the subjects are actually smiling. if you want a good on lighting, especially on lighting with small flashes like Nikon or Canon speedlights, then pick up Joe McNally’s new book, The Hot Shoe Diaries, when it comes out January 10th, 2009.